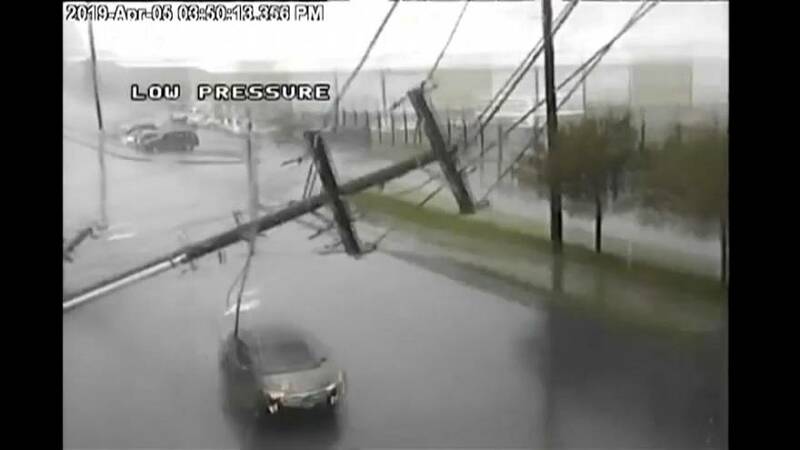 A powerful storm toppled a utility pole with live wires on top of a car in Tukwila, a city in the US state of Washington. The couple inside the vehicle miraculously suffered only minor injuries and no one else was reported injured. Due to the live wires and downed lines throughout the area, first responders had to wait until the power was shut off before they could get to the vehicle's occupants. CCTV footage released on April 10 shows the moment of the incident, as well as a cyclist who managed to run away from the falling lines.